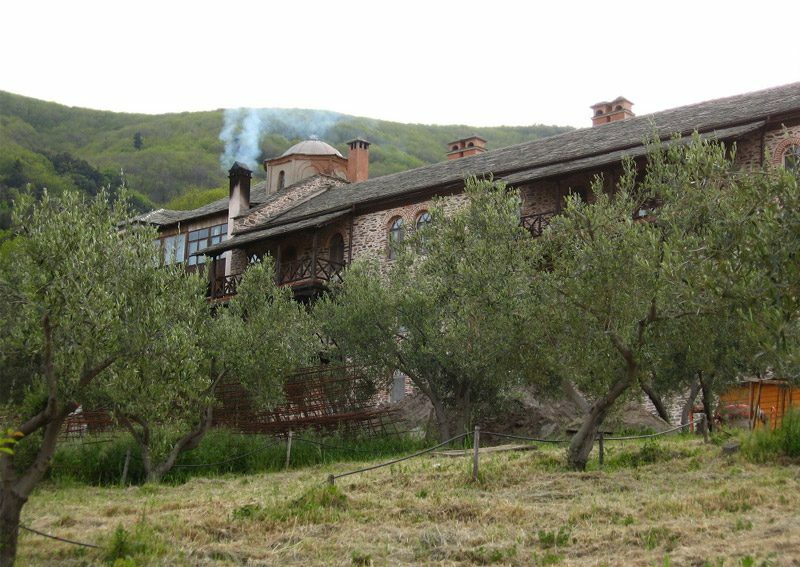 The monastery buildings are set in a rectangular shape with a rather vast courtyard, with the central church (Katholicon) in its center. The refectory is presently built a new (1995), while the central church, built in the 16th century, is covered with five domes and with a glass covered exonarthex. Apart from the Katholicon frescoes dated in the mid 16th century, the monastery possesses more than 600 manuscipts, many of which are illuminated, as well as imporant historic archive and a large number of old printed books. 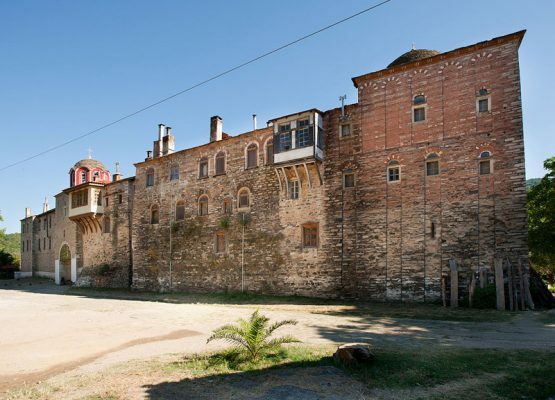 The monastery is in the middle of the athonite peninsula, on the way from Daphne to Karyes and is dedicated to the 40 Martyrs. 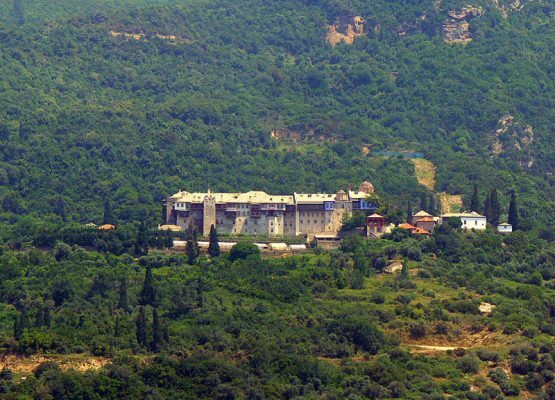 The Konstamonitou monastery it is built in a forest ,200 meters above the sea level,50 minutes walk from the coast.